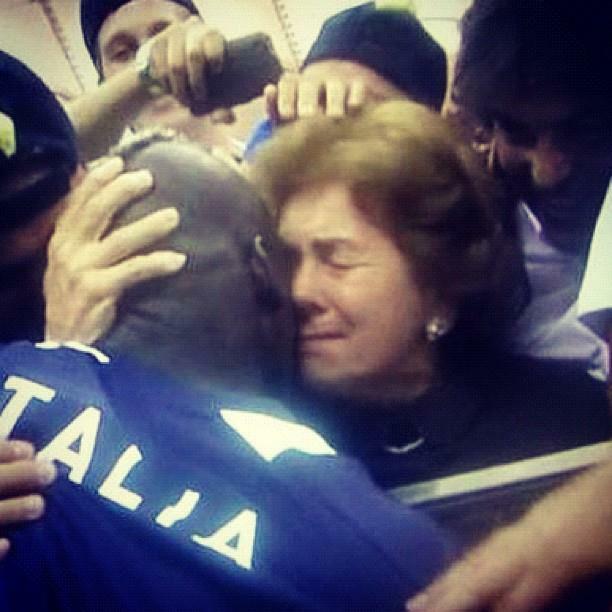 Mario Balotelli embraces his mother Silvia after scoring two goals in Italy’s Euro 2012 semi-final vs. Germany. Image via facebook. I waited for this moment for so long and I wanted to make my mum happy. Rumours that Silvia has been approached by Manchester City for an assistant coach role alongside Roberto Mancini cannot be verified at this time.